For most of my first two decades, I grew in rich farm soils in southeastern Pennsylvania. The gently sloping hills and flood plains were potassium rich-soils of weathered rock and clay that had for millennia incorporated organic matter from native vegetation, crop residues and farm animal manures. By the time my brother Jonathan plowed up a quarter acre of our front lawn while my parents were at work, the topsoil had built to a depth of about a foot; it was dark, chocolaty, crumbly and fertile. Tanguy Homesteads, Glen Mills, Pennsylvania circa 1970. 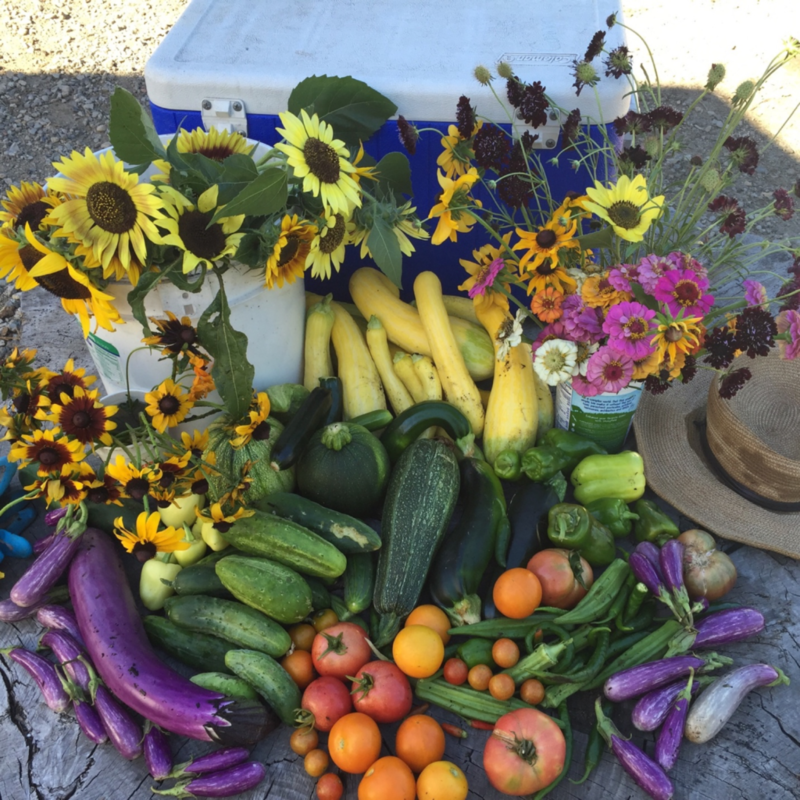 Returned from sod to garden space, this soil yielded memorable bumper crops of melons, sweet potatoes, squash, tomatoes, and peppers with little or no irrigation. We relied heavily on mulches to minimize watering, using paper and cardboard overlain with generous blankets of mown grass and hay and rings of rotting wood chips and pine needles around fruit trees, bushes, and berries. This supplemented another quarter acre of beans, peas, squash, tomatoes, peppers, asparagus, fruit trees, rhubarb, grapes and raspberries – all in, about a half-acre of food production that was fresh local and organic before these were marketing concepts. My family was part of an intentional community of 30 families of diverse racial, ethnic, and economic means that formed in the late 1940s and constructed in the 1950s. The 100-acre farm included meadows, wetlands, and old growth forest with beech, ash, tulip poplar, and black walnut and an understory of mayapple ramps, ginger and a wicked patch of skunk cabbage in a few spots. The 2-acre parcels around the homes included at least one manicured lawn with peonies and gladiolas, several Japanese-inspired landscapes, and many bountiful and extensive vegetable gardens – some plowed an disced annually with the community‐owned McCormack Farmall H tractor. Bounty harvested from CitySoil™ is reminiscent of the diverse harvests from the family farm. Being normal kids we had our feet in the dirt and mud whenever possible. We dammed up and played in streams that drained from surrounding cornfields and carried the conventional farm chemicals of the mid 1960s in turbid runoff after storms. We harvested cattails and watercress from the wetlands and terrorized each other with crayfish from the streams. 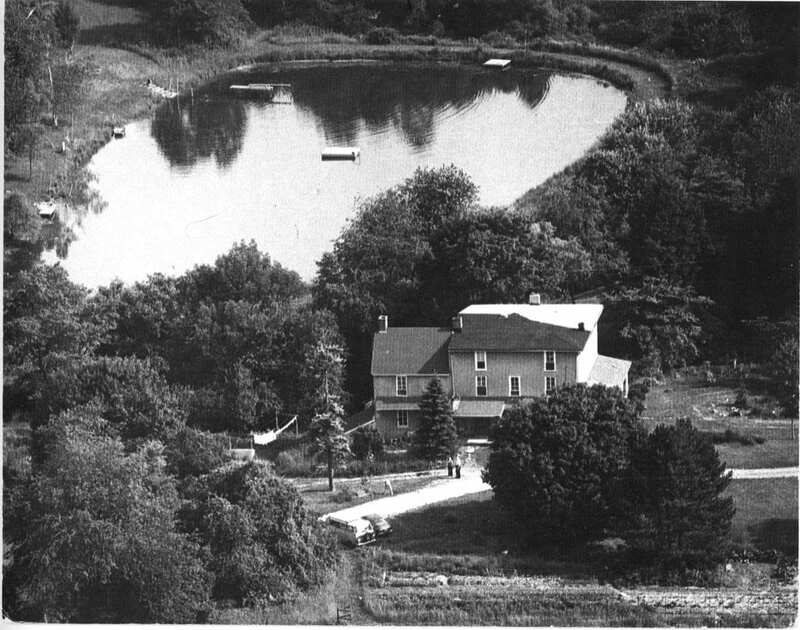 We swam, fished, and generally mucked about in a spring-fed, 2-acre farm pond that was also enriched with phosphorus runoff from the surrounding topography. When we needed worms for fishing we knew where they were certain to be found. We liberated fruit from the adjacent orchard at will. We used what are now called organic land care management practices and raised dairy goats and were employed by nearby farms to muck out stables, pick corn, hay, feed and slaughter turkeys, and prune fruit trees. We also mowed lawns and tended neighbors’ landscapes. My parents pursuit of farm life was a natural family progression. My mother grew up on a diversified hardscrabble farm in the South Williamstown Berkshires that had been known as Indian Spring Farm. Her family was Scot-Irish and English dairy farmers on Mohawk land. The farm’s kitchen garden, potato and vegetable fields fed a family of seven and the surrounding meadow, and open fields grew hay and feed corn for the motley herd of cows, chickens, ducks, and draft horses. The farm soils were dense and heavy with clay, and as likely to yield a stone as a potato when turned with a spading fork. A sinuous trout stream wound its way through the clay soils. As kids we spent formative summers playing in the streams, fields, wet meadows, and hemlock forests and among the birch and sugar maple of the glacial moraine. And my father’s family – mostly Swedes – migrated to Michigan in the 1880s and farmed sandy flat soils. In WWII, my father worked in the dustbowl ravaged soils and farmland of Arkansas the Texas Panhandle, building erosion controls, constructing irrigation systems, and bringing economic and technical resources and supplies to African-American farmers. And it was only natural that my brother Jonathan would plow up the front lawn of our Pennsylvania home and that the rich soil yield sweet potatoes, melons, peppers, fruit trees, berries, and asparagus that I still long for. Manure and straw, leaves and compost replaced what we harvested, and added to the fertility and tilth of the half acre or so that we worked with our hands, hoes, spading forks, and shovels. The light textured black hemlock forest soils proved easy digging for wild ginger, and precious bloodroot tubers that when snapped in half resembled oozing fingers, were gross and fascinating. The cool damp woodland soils of the understory could be hand-dug for hobbit holes, and final resting places for pets and the occasional dead bird or mouse we reverentially ushered into its transformative blanket. The dense clay subsoil from foundation holes dug for a house we built could be packed into excellent dirt clods with long range structural integrity when flung as grenades in internecine warfare. We and a local emergency room technician also discovered that they contained sharp stony fragments, evidence of their weathered feldspar origins. The natural and managed landscapes and the bodies of water within the community afforded our family an unscripted hands-on and barefoot educational context. The common thread of soil and water conservation, sustainable landscaping and farming, water ecology, and environmental justice continues within our families as we’ve transplanted ourselves and established new roots throughout New England, Appalachia, and the British Isles. I lived and worked on Cape Cod for 10 years, on soils that drained faster than my kitchen sink. With experienced and energetic friends and colleagues we coaxed remarkable yields of vegetables, fruit and flowers from sandy stuff that we heavily amended with mulches and compost. We used seaweed, oak leaves, black pine needles, and composts and vermicomposts that we made manure and bedding from horses, blended with kitchen food waste and dead tilapia. These soil foods rebuilt soils that had been depleted for centuries and provided the “bounce per ounce,” by improving the soil organic matter, microbial and food web populations, and formed soil aggregates that improved drought resistance and crop health. Growing fat onions, scary-large collards and buckets of beans with my sister in North Carolina’s red clay, nurturing beets with my brother Mark in the bony soil of Maine’s Waldo County, tending citrus groves on long-eroded Mediterranean island of Crete, and picking grapes in the chalky soils of Bordeaux shaped my layman’s knowledge and a career, such as it is, that links soil and community. 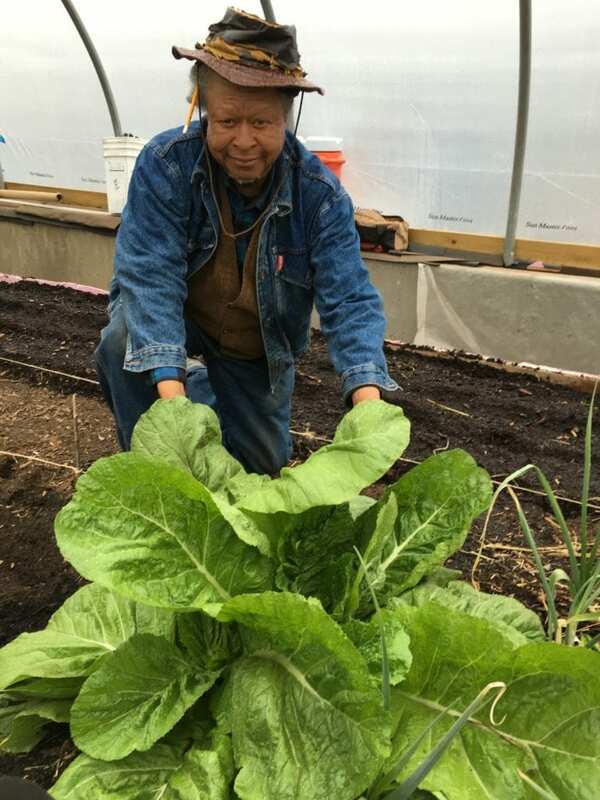 Rocky Corbett, Mattapan resident and specialty crop advisor of Panamanian/Jamaican heritage, shows off mustard grown in biochar-amended soil in the Ecovation Center’s CO2 enriched biofilter growing bed. My home turf has grown on the urban soils that have been my habitat for the last three decades. My urban community hosts a racially and ethnically diverse community of talented, hardworking and savvy people. Our strengths and weaknesses both challenge and support each other. Greenspace within our city limits is diminishing daily, and that which remains needs all the care and attention it can get. Dedicating buildable land for field-based agriculture will continue to compete with and usually lose to housing and commercial development. Urban agriculture based only on the yields of food crops is rarely a viable business. A polyculture of people and plants, and a patchwork of small and multi-acre ribbons, rectangles and patches form Boston’s greenspace. The unpaved city soils that I most commonly walk upon and are the focus of City Soil’s work have a common history of abuse and neglect, concentrated where housing and industry have left a legacy of lead and other heavy metals, coal ash, glass shards, plastic and a wealth of used automotive components. 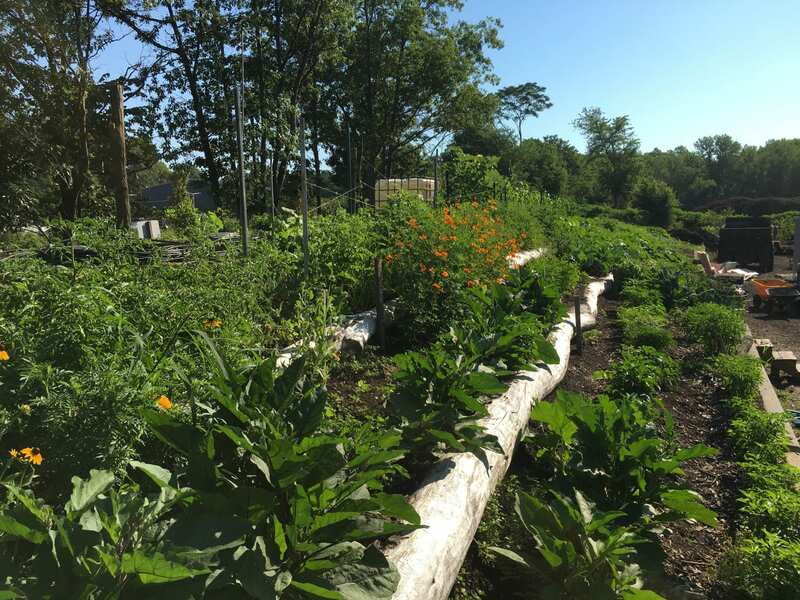 City Soil’s work in Boston creates practical and compelling ecosystems of people, land and the ingredients of a balanced diet that repairs and feeds the soil. We integrate new and age-old practices and tools and our diverse community and stakeholders to protect water, air, earth, and reduce greenhouse gas emissions. 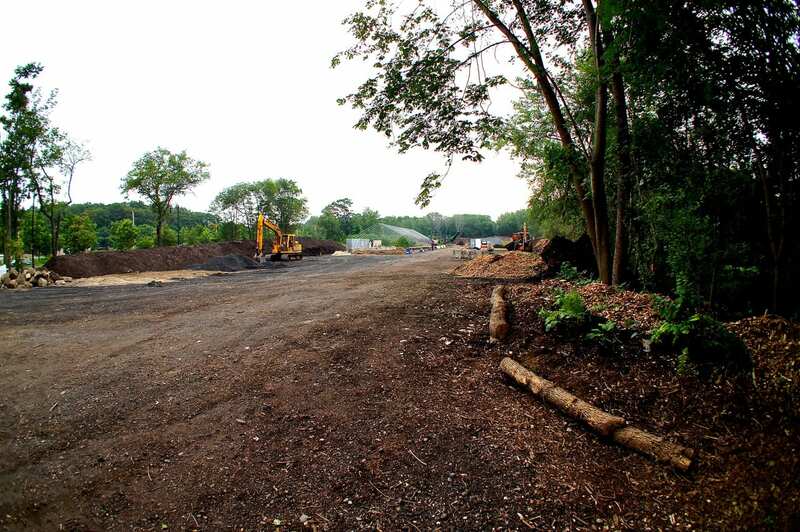 Remediated site on the former Boston State Hospital grounds has a compost-heated greenhouse bioswale and terraced agricultural berm under construction. The former Boston State Hospital in Mattapan encompassed more than 300 acres of greenspace at the southern end of Boston’s “Emerald Necklace,” in a sub-basin that drains to about 20 acres of remaining wetlands. The fertile muck peat and clay based glacial soils were cultivated for more than 400 years as working farmland; upland acreage yielded diversified fruits and vegetables, meat, eggs, and dairy products and the wet meadows produced prized marsh hay. The wetlands and forests and understory had, in the millennia prior to Caucasian colonization, supported indigenous seasonal residents with a wealth of foods and materials used for shelter, tools and clothing – materials that were harvested seasonally, in what had been a sustainable approach to meeting human necessities while conserving soil and water resources. City Soil staff and volunteers at the opening of the Ecovation Center. 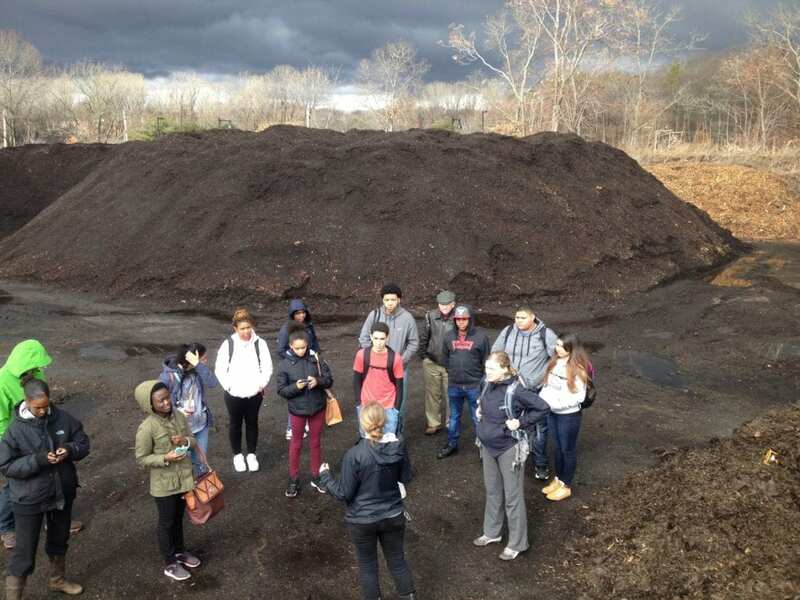 Since 2012, City Soil has operated the City of Boston’s municipal composting facility on five acres of what is now the Boston Nature Center, Mass Audubon’s only urban sanctuary and host to the George Robert White Environmental and Conservation Center. 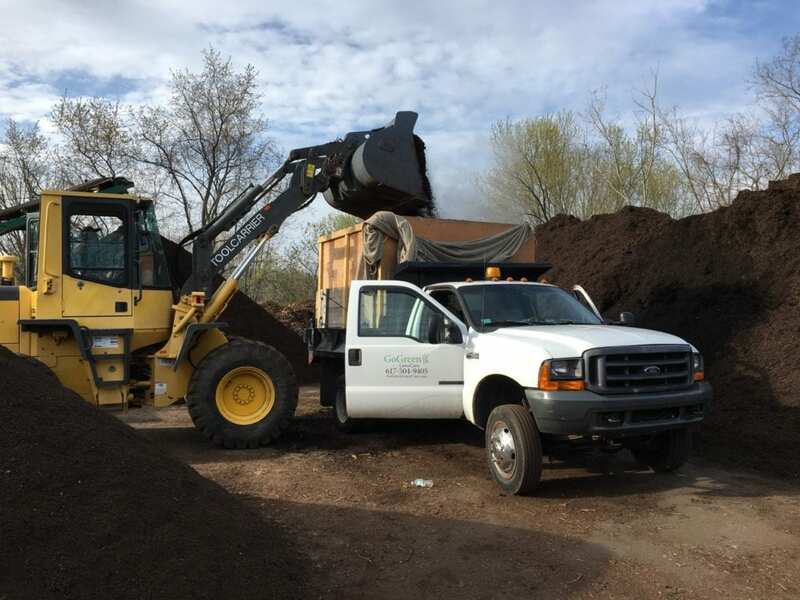 On three acres, City Soil converts more than 40,000 cubic yards of leaves and landscape organics into compost, mulch and high performance soils. We capture soil nutrients and carbon from landscape organics, food scraps and manures that would otherwise be trucked out of the city for disposal. City Soil uses, sells and distributes the products we make and grow. We hire train and learn alongside members of our community of many colors, cultures, and varying financial resources. Screened premium CitySoil™ is crafted from urban forest leaves, manure, and food scraps that are blended into rooftop soils and planter mixes. City Soil & Greenhouse designs and develops projects and consults on the methods, mechanisms, and the biological systems and ingredients that are needed to support urban, rural, and peri-urban communities. 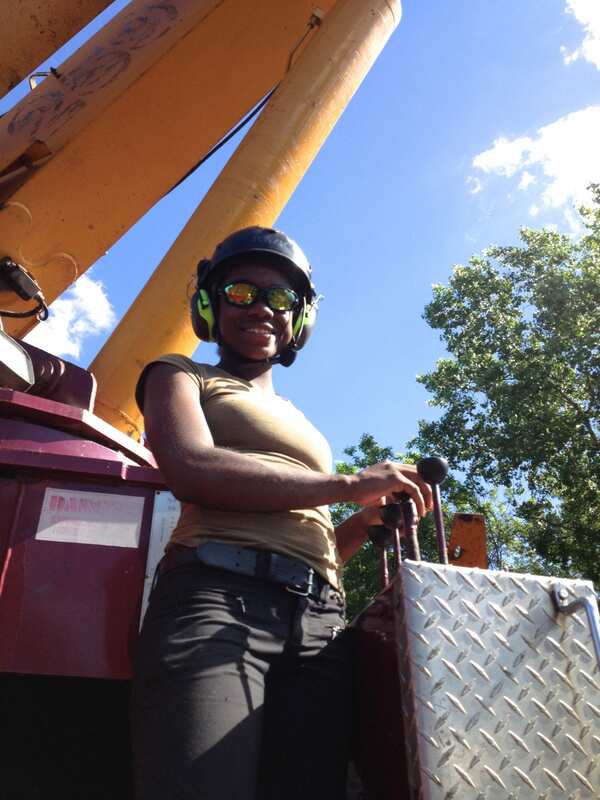 Skilled crane operator Diamond Stokes along with the crew of Mattapan-based Holland Tree Co. were instrumental in developing the Mattapan Ecovation Center. We engage hundreds of adult and student volunteers, faith-based initiatives, environmental organizations, and the US armed services in work projects to remediate damaged soils and build a green stormwater management infrastructure in one of the regions most compromised watersheds. 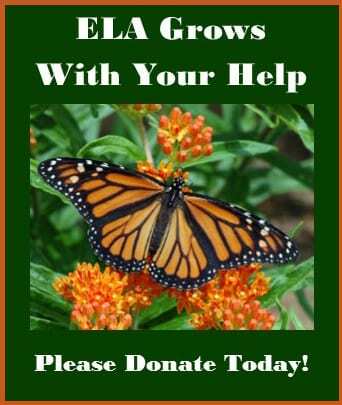 Our work has been supported by federal, state, and philanthropic grants. 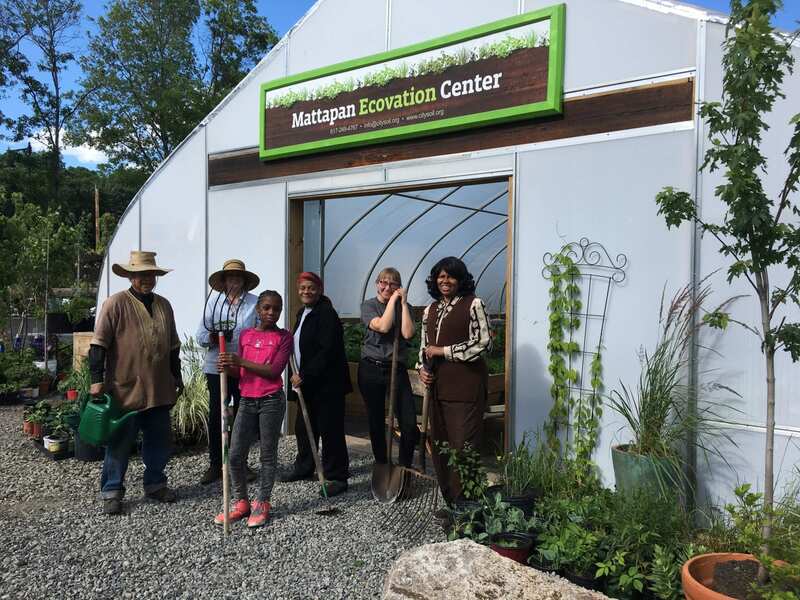 The Mattapan Ecovation Center has become a new and inspiring educational resource, made manifest through grants of more than $150,000 of Massachusetts Department of Agricultural Resources, in partnership with the Massachusetts Audubon’s Boston Nature Center and the City of Boston, and the contributions of many friends, neighbors, and professional colleagues. 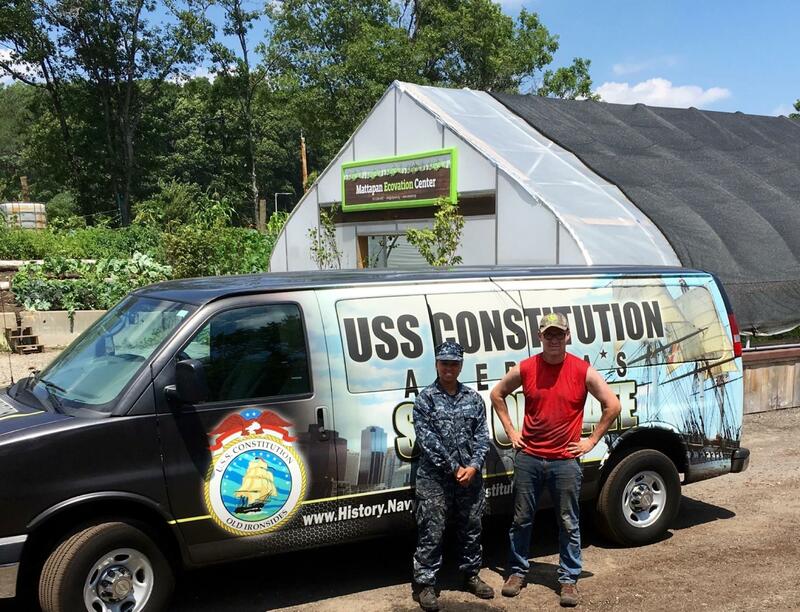 Members of the U.S. Armed Services are a vital partner in projects that rehabilitate and protect the watershed. 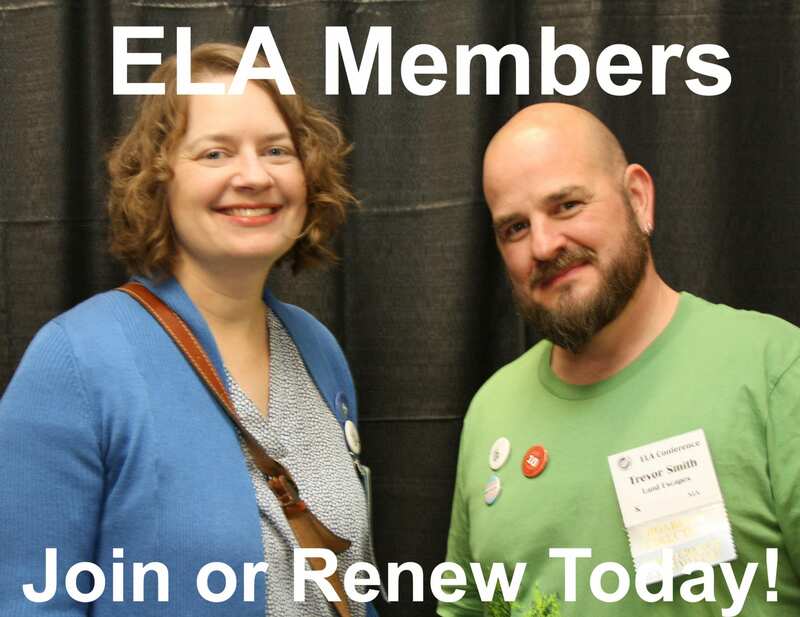 To support our mission, and our community we sell some of what we make and grow. 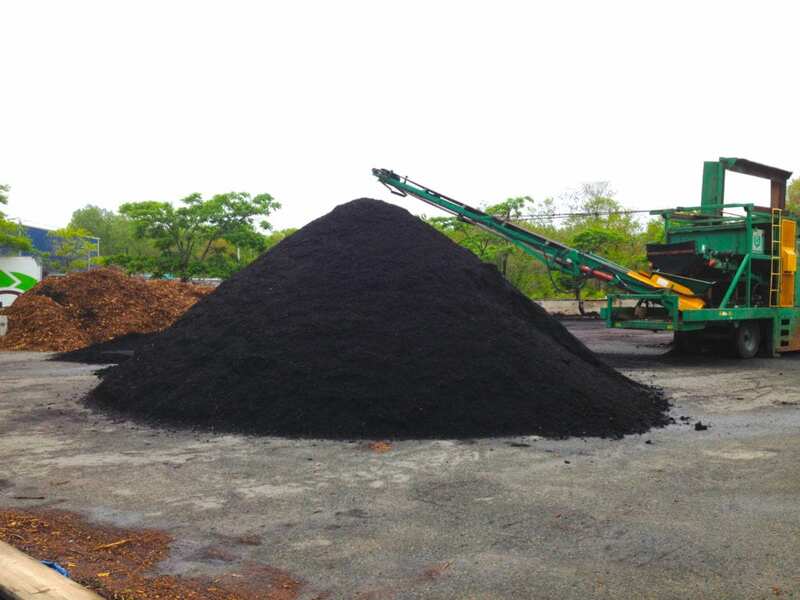 We supplement our products with biochar and specialty soil ingredients for container and rooftop growing, soil erosion control systems, and other green infrastructure. 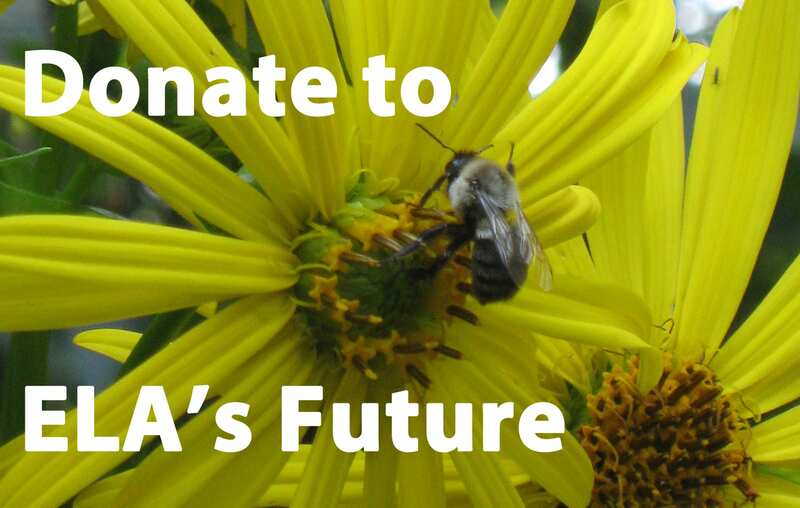 We propagate native plants and pollinators, grow food crops, flowers, edible fungi, and perennial plants and shrubs for use in habitat restoration, stormwater control, and educational programs. City Soil’s Chesapeake First (my oldest daughter) discusses soil health and environmental stewardship with students from a civic engagement class at Boston’s English High School. Our work at City Soil is collaborative by design and addresses distressed landscapes, soil and water on a hotter, more unpredictable and distressed planet that we do not own. Our work is often invisible and below the feet. It includes portions of the Emerald Necklace, the Rose Kennedy Greenway through downtown Boston, and spreads across a network of more than 60 acres of community gardens and urban farms on land once hosting the ghosts of burnt out houses and crumbing industrial infrastructure. A terraced berm at the Ecovation Center utilizes locally harvested structural materials; recycled organics and stormwater grow vegetables, cut flowers, herbs, pollinator plants, fruit, grasses, shrubs, and trees. 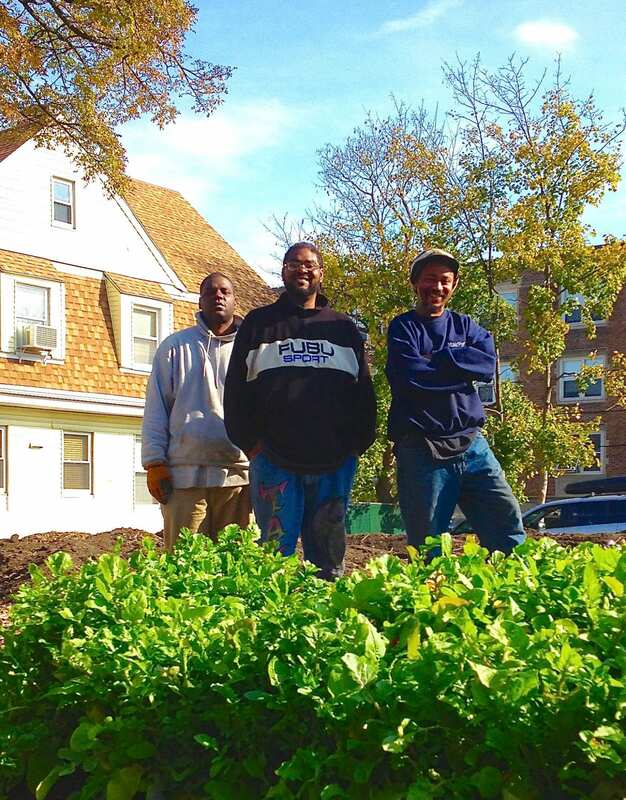 CitySoil™ grows community supported agriculture at the Urban Farm Institutes Garrison Trotter farm in Roxbury. Boston is increasingly attuned to soil-based approaches to meeting the critical challenges of increasing population, changing climate, and severe storm events and water shortages on distressed landscapes. The City leadership, community members, advocates, and philanthropic organizations are committed to investing in both form and function of Boston’s environment. 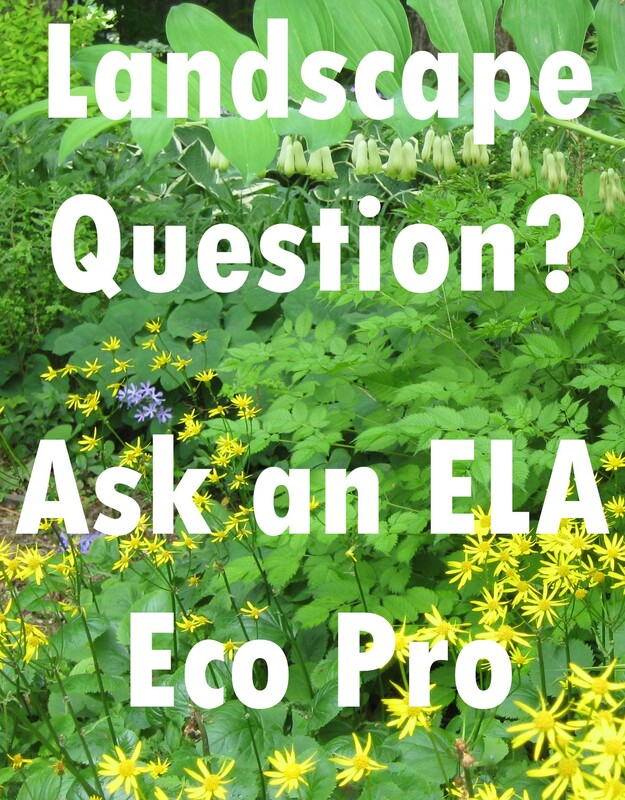 Within the current urban landscape are some 2,100 acres of City parks and open space that reflect centuries of mindful stewardship and more than a thousand acres of public and privately managed lawn, landscape, and roadsides; and ground level and rooftop farms, greenhouses, and gardens. Our planet is an increasingly dense community, occupying a hotter, more unpredictable, and shrinking land mass that must sustain us in trying times ahead. Healing the land that our children and generations to come will inherit begins and ends with the soil. The human communities that grow from this rich earth nourish my enduring hope for a civilization that has always been rooted in the soil. Bruce Fulford is the founder and Principal at City Soil & Greenhouse in Boston, MA.